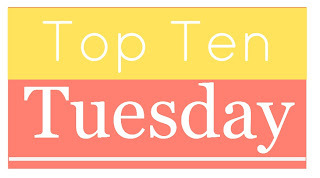 Today's Top Ten Tuesday topic hosted by The Broke and the Bookish is Top Ten Books that feature characters who... and after much back and forth over that who I went with write. While I have no interest in writing myself I love books that feature writers. So here is my Top Ten Books that Feature Characters Who Write. 1. Emily from Emily of New Moon by L.M. Montgomery - While Anne is also a writer the Emily trilogy focuses much more on the writing process. 2. Mrs. Ariadne Oliver from Dead Man's Folly by Agatha Christie - Mrs. Oliver is actually in a number of books mostly with Poirot and I love her. She's a some what stout older woman who is a bit unnerved by her fame as a writer and annoyed with the detective she's created from a country she knows little about. It gives the reader such a glimpse of Agatha herself that I look forward to all the books that contain Mrs. Oliver. 3. Beryl Madison from Body of Evidence by Patricia Cornwell - Since Beryl is dead before the book starts we don't really see much of her but we examine her life so thoroughly she might as well have been a character. I loved this book and was seriously creeped out by it at the same time. I think this is where I really discovered what stalking was and it made me seriously paranoid! 4. Emma Dove from And Then He Kissed Her by Laura Lee Guhrke - This is one of my absolute favorite historicals and I love that Emma not only works for a living as the secretary of a publisher she dreams of writing books on etiquette AND proves her employer wrong. 5. Jordan Hawke from Key of Knowledge by Nora Roberts - I love this book mostly because Dana is a book lover and librarian and Jordan is a writer who specializes in gothic-y horror type books. Plus it's a 2nd chance romance which is my favorite kind. 6. 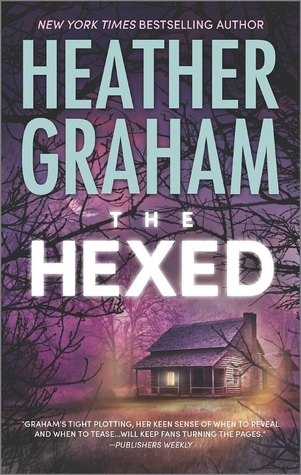 Devin Lyle from The Hexed by Heather Graham - The atmosphere in this book is such fun and even better is the fact that the main character writes children's books. 9. Eliza Makepeace from The Forgotten Garden by Kate Morton - Those fairy tales and the book that is woven through the book itself provide so much of the atmosphere. I feel the need to reread this one because I'm sure there's bunches of bits and pieces I missed the first time around. 10. Mr. Melendy from The Four Story Mistake by Elizabeth Enright - This was one of my favorite books as a child and I was thrilled when I rediscovered this and the rest of the Melendy books as an adult. It entertains me greatly that Mr. Melendy is a writer because there's so little development on this that he could be a lawyer or an accountant or just about anything else. So are you a sucker for books with writer characters too? Any others I should read? I like your choice for the topic. :-) I read Emily of New Moon a couple of times when I was younger. I should probably track down another copy so I can reread it. Emily isn't my favorite but she is so passionate about her writing that it's fascinating. Fun list! I can't remember Body of Evidence so now I feel like I might have to reread that one. I love that Nora Roberts Key series-totally fun reading. Body of Evidence is seriously creepy! It made me seriously jumpy for awhile! Her role in The Pale Horse is pretty fantastic as well! Somehow I didn't discover Emily until I was an adult. It's a great series! Another blogger, Jennifer from Feminist Fairy Tale Reviews, also focuses on characters who write and she included Dreaming of You, too! I love that book. I should really re-read it. 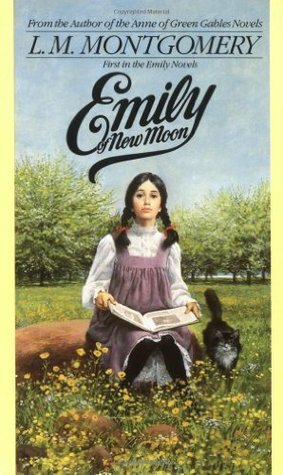 You know, I've never read Emily of New Moon, but I really want to. And i just added And Then He Kissed Her to my TBR. I think you'll enjoy And Then He Kissed Her! Emma's such a great character, and Dreaming of You is so amazing! I'll have to go check out Jennifer's list. I wish had some interest in writing. But nope. I've thought of a few ideas but really I'm far to lazy and unmotivated to execute them. So whatever. I'll keep to reading instead of writing. Good choice this week! I do love characters who write as well. Maybe it's because I'm jealous. Or more so that they intrigue me. I have no interest in writing either but I think my issue is my complete lack of creativity. I'll be sticking to reading as well! Thank you!! I do love Mrs. Oliver. I feel like we are getting a peek at what was really going through Agatha's head. I love Andy and Meg! House of Many Shadows is my favorite slump buster book! Great list. I haven’t read any of these, but I like the topic you chose. Thanks! I love books about writers! Oooh, I love books with characters who write as well! The one that comes to mind right off is FANGIRL by Rainbow Rowell. Cath is really, REALLY into her fanfiction. I've only read one of the books on your list (THE FORGOTTEN GARDEN, which I loved -- I'm a huge Morton fan), but the others all sound really good. I'll have to check them out. I want to read Fangirl and I definitely want to read more Morton. The Forgotten Garden is the only one I've read but I loved it. I like this idea. I know I've read lots of books where the characters are writers but I can't think of any right now! I know! I was the same way but once I started scrolling through my books on goodreads a lot came back to me. What a great topic! And wonderful character choices as well. I love Ariadne Oliver; she makes me laugh - and she's obviously a spoof of Christie herself. I forgot that Mr. Melendy is a writer - although doesn't he also work in Washington during the War? Either way, his work is barely important except as it takes him away from home. Sarah Fielding, definitely! Emma Dove - I'd forgotten her but that was my first Laura Lee Guhrke novel, and I really liked it. I should really go back and re-read the Emily of New Moon series, too. How about Penelope Featherington aka Lady Whistledown in the Bridgerton romances by Julia Quinn? And Jo March in Little Women? I toyed with the idea of Jo and in fact she was the first to come to mind but I just didn't connect with Jo the same way I did others. Penelope list the coin toss to Emma. I do think he went to Washington but I need to reread those books. Love virtually anything by Patricia Cornwell! She is responsible for the majority of my insomnia during my early 20s! Her first few books were terrifying! I do like it when characters write and read, I feel a strong connection with them as a result. The first character that comes to mind, besides Anne, is Jo March. Jo was first to mind as well but for some reason I never really connected to her. I'm hoping I like her a little better when I reread it. I thought about making a list of writers in books. I know I've read a number of those books, but the only one I could think of was The Winter Sea by Susannah Kearsley. 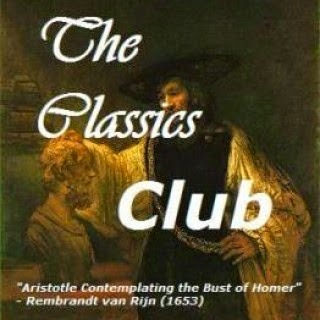 So I did music and also had trouble thinking of 10 books! I haven't read too many of the books on your list, but they sound good, Katherine! I've not read any of these, but I do enjoy those types of books more often these days. Great picks! Great topic choice! I loved The Forgotten Garden. Nice choice for a topic. I haven't read any of these but thanks for sharing. Did someone already mention Jo from Little Women?? (ok, did a search and found the comment...totally understand, especially since she didn't choose Laurie. Bhahahaha!). What a fun topic!! Love this spin. And I NEED to read the Emily books. I didn't even know they existed until a few years ago. Shame on me. Goodness, I'm not sure I could come up with ten, although I'm certain that I've read ten over the years. Like Trish, my first thought was Jo from Little Women but I had completely forgotten about The Forgotten Garden so I'm sure I've forgotten a lot more.